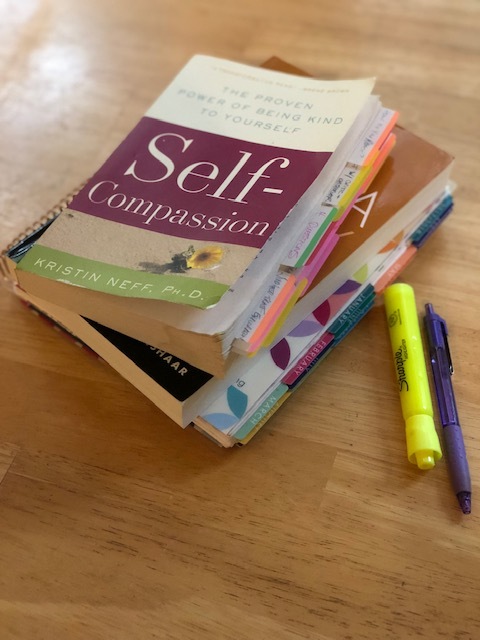 I recently wrapped up my reading of Kristen Neff’s book Self Compassion: The Proven Power of Being Kind to Yourself. I thoroughly enjoyed the book and found myself introducing my clients to ideas and exercises that I read about as I went through the book. Neff has a gift for writing and I particularly liked the way she combined her research with her personal experiences in a way that made much of the book both relatable and rooted in the scientific process. One idea that seems to be coming up for me repeatedly, and which this book reinforced, was the importance of shifting from a “we’re all incredibly unique” mentality to a “we are all largely alike” mentality. Perhaps as a result of the time in which I was raised, I have always believed that we are all different, but I am coming to see the truth and value of the fact that we are really all similar. We all want to be happy, we all have skills at which we excel, we all deal with the same landscape of emotions, and we all must contend with life’s challenges on life’s terms. We all are wired for connection and tend to feel happier when we are in a state of connectedness, and we suffer when we feel disconnected from others. When I first came across this idea, I cringed, but the more I am exposed to it the more it makes sense to me: we are not really that unique after all. Another idea that Neff explores is the myth of self-esteem. Once known as the holy grail of success, Neff accesses the inherent flaws with the pursuit of self-esteem and espouses the idea that self-compassion is a far worthier pursuit (a sentiment with which I agree). Suffering is a part of the human condition. May I be kind to myself in this moment, in the face of my own suffering. What can I do, in this moment, to express care and compassion for my own challenging experience? I highly recommend this book. Have you read it? What did you like?